Join PAAC and the Hawaii Institute for Human Rights for the 20th Annual Human Rights Academy! The academy will take place on June 24-28 from 9am-2pm at the University of Hawaii at Manoa. Download program flyer here. The Human Rights Academy is dedicated to informing students (high school and college) about current international issues and how they relate to Hawaii, as well as connecting them to the tools they need to become part of the global movement to make a difference. On the 20th anniversary, participants will work collaboratively to create a framework for a Voluntary Local Review and the Universal Periodic Review to show how Hawaii can achieve the Global Goals through a human rights-based approach at the grassroots level for the global reviews. Students will also learn more about the mechanisms in place at the United Nations to assess the progress of humanity in achieving the Sustainable Development Goals and Global Human Rights. 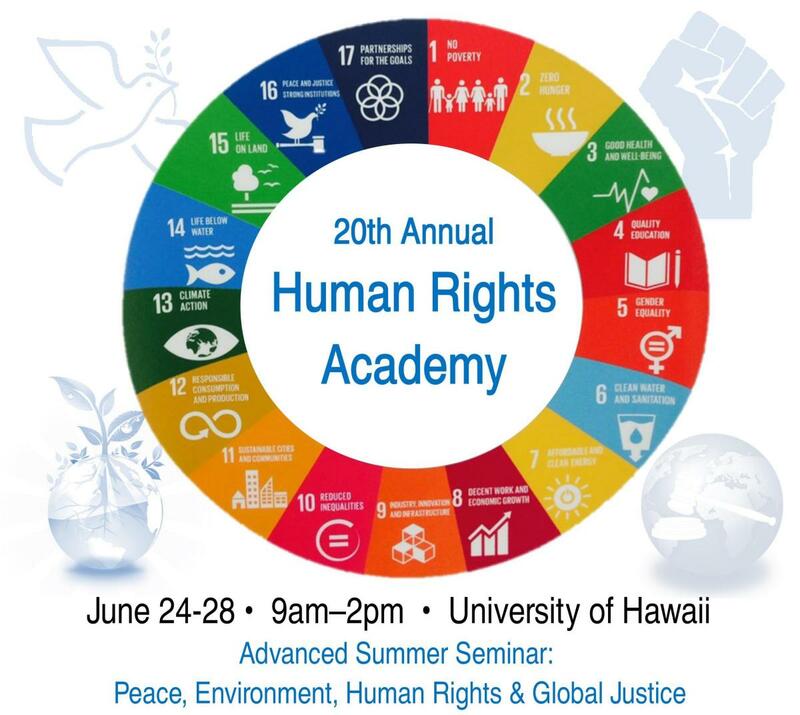 The 2019 Human Rights Academy is sponsored by the Hawaii Institute for Human Rights, PAAC, The Good Group, and the United Nations Association.